This species, predominantly of the coastal plain, is a very rare plant in Michigan discovered in 2011 by M. P. Ryskamp in a wetland in Kent Co., where it is widely disjunct from the nearest sites in southern Ohio. 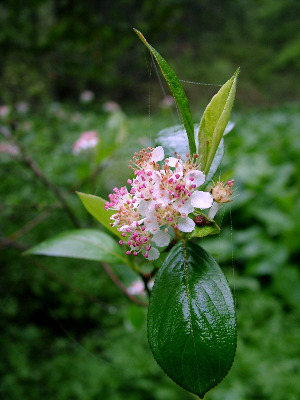 Aronia arbutifolia is a taller (to 6 m in the Michigan colony), more pubescent plant than our black-fruited A. prunifolia, but there is overlap in these features, as well as number of flowers per cyme. Fruit color is the most reliable character to separate these two, but some plants of A. prunifolia have fruits that are dull reddish purple well into the fall, before they finally turn almost black. MICHIGAN FLORA ONLINE. A. A. Reznicek, E. G. Voss, & B. S. Walters. February 2011. University of Michigan. Web. 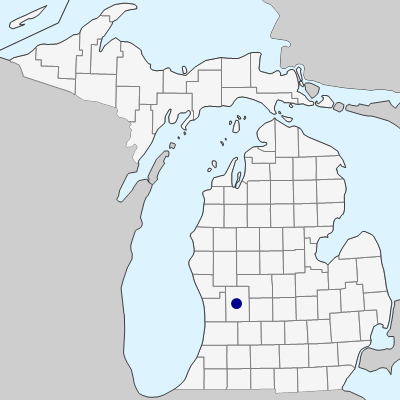 April 21, 2019. https://michiganflora.net/species.aspx?id=2886.